Bassam Jalgha’s band mates wouldn’t keep quiet at rehearsals. That led to a great idea. Once band mates, the partners behind Roadie developed a way to solve a nagging problem for musicians. Bassam Jalgha was a musician long before he was an engineering student. Then he put those two parts of his life together—and became an entrepreneur. In 2006, as a third-year mechanical-engineering student at the American University of Beirut, the answer came to him. He was taking a class on developing control systems for machines, and he realized he could create a gadget that could be attached to stringed instruments and tune them automatically. Although he didn’t pursue it at the time, he kept the idea with him. In 2009, he took his pitch for the gadget onto a reality-TV competition in Qatar, where it won first place and a $300,000 prize. Later, he began developing the device full-time with his college friend and former band member, Hassane Slaibi, an engineer and flute player. The original name was Dozan—Arabic for tuning—but they eventually settled on Roadie as catchier for a global audience. The hand-held device, which sells for $99, attaches to a tuning peg on a stringed instrument. After the user plucks the string, Roadie analyzes the sound and automatically adjusts the tension to get the string tuned properly. An app stores profiles for different instruments and custom tunings and keeps track of the elasticity of the strings, telling the musician when new ones are needed. Roadie hit the market in November 2014. The company won’t release revenue figures, but it says online and retail sales have been “sustaining and growing” the firm. 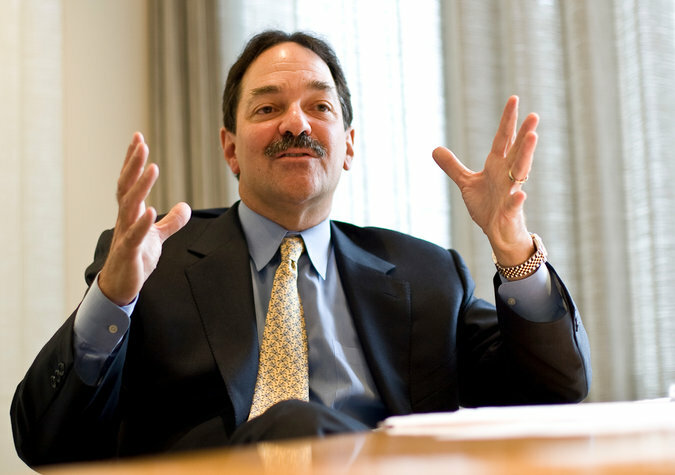 Frank P. Quattrone, co-founder of the boutique investment bank Qatalyst Group in San Francisco. Nearly a decade ago, Frank P. Quattrone, the star investment banker who took Amazon and Cisco Systems public in the 1990s, returned to the deal scene with a boutique investment bank catering to Silicon Valley. After re-emerging as a major force in the technology industry, Mr. Quattrone is now yielding day-to-day management to one of his top lieutenants. His firm, the Qatalyst Group, announced on Wednesday that George Boutros would take over as chief executive, overseeing overall management. The appointment is the first major leadership change at Qatalyst since Mr. Quattrone, 60, began the firm in March 2008, seven months after clearing his name in a bitter legal fight with the federal government. A veteran of Morgan Stanley, Deutsche Bank and Credit Suisse, Mr. Quattrone became known as a banker of choice for the dot-com boom. Yet he was waylaid by charges of hindering a government investigation into initial public offerings at Credit Suisse. Those charges were dropped in 2007. Instead of decamping to an investment firm, Mr. Quattrone chose instead to set up a boutique investment bank. It is a niche that has gained prominence in recent years, as firms like Centerview Partners, PJT Partners and Evercore Partners have secured roles on some of the biggest deals around. Since 2008, Qatalyst has grown from three employees to 53, and it says it has advised on more than 90 deals, including the sales of OpenTable, Motorola Mobility and Dropcam. Naming Mr. Boutros, 55, chief executive is a promotion that formally recognizes the role that the banker — who has worked with Mr. Quattrone since 1992 — has been playing at Qatalyst. Mr. Quattrone will become executive chairman and focus on strategy. Other bankers at Qatalyst received promotions as well, including Jason DiLullo and Jonathan Turner, who have been named co-presidents. Media, Productivity & Emojis Give Mobile Another Stunning Growth Year. In the seven years that Flurry has been reporting on mobile app usage, we have seen nothing but growth, and this year continued the trend. The mobile industry has matured fast. In fact, 7 years into the mobile revolution, Flurry tracks over 2.1 billion smart devices, worldwide on a monthly basis. While the growth rate has declined (58% in 2015 compared to 76% in 2014 and 103% in 2013), it remains stunning as rates like these are rare in mature industries. What was even more impressive is the majority of that growth rate came from existing users versus new users. In fact, in 2015, we estimate that 40% of the 58% total growth in sessions came from existing users, compared to 20% in 2014 and 10% in 2013. This jives well with the report we released last summer, showing a fast increase in mobile addicts. From a category perspective, four categories grew faster than the average. Personalization apps saw their sessions balloon more than 344% in 2015. These apps range from Android lock-screens to Emoji keyboards. When we looked deeper into the category, we noticed that the majority of the growth is coming from Emoji apps (mainly keyboards) giving consumers the ability to share customized correspondence in their favorite messaging apps, such as Facebook Messenger, Whatsapp, Line and Snapchat. It is not a surprise then to see Kim Kardashian’s app “Kimoji” skyrocket to the number 1 spot on the Apple AppStore, on its launch day. News and Magazine apps grew a whopping 141% in 2015. This growth validates the trend in media consumption we reported on last summer, signaling a shift in media consumption from television and PCs to smartphones in general, and phablets in particular, as we will discuss later. Productivity apps continued the trend that started in 2014, with 119% sessions grow in 2015. In fact, more and more consumers, especially teens and college students are using their smartphones, phablets and tablets as their primary computing device and their sole device to access email and other productivity apps, like Google Docs, Quip, Slack and the Microsoft productivity suite. Lifestyle and Shopping apps grew 80% in 2015, following a 174% growth in 2014. This growth rate validates reports in early 2015 that mobile commerce is “growing like a weed” and already accounts for 33% of online commerce in the US and 40% of online commerce on a worldwide basis. While the overall growth rate of 58% paints an interesting picture, our analysis dug a bit deeper by looking into growth rates cut by categories and form factors, especially phablets. In the above chart we compared the year-over-year session growth rates of the News & Magazine, Sports, and Music, Media, & Entertainment categories on phablets and all devices combined. The growth rates of these three categories dramatically over-indexed on phablets compared to the growth rates on all devices combined. Growth in News & Magazines apps on phablets was 4.8x that of all devices, meaning phablet users are engaging in these apps at a much higher rate than the average smart device user. A similar pattern emerged for Sports and Music, Media & Entertainment apps, at 4.6x and 4x respectively. It appears that the extra inch of real estate has made the phablet the ultimate media consumption device. The picture got much clearer when we looked at year-over-year growth in time spent and cut that by form factor. Time spent on phablets grew 334% year-over-year (2.9 times more than the average), compared to 117% for all form factors. With time spent on mobile surpassing that on television, and phablets posting astonishing growth in media consumption, it appears that the cable industry will find in the phablet and its apps its long-awaited digital nemesis. We say “unstoppable” because if the current trends hold, the phablet will become the dominant form factor by October of next year. The above chart shows our forecast for worldwide device distribution, by form factor through the middle of 2017. Also interesting to note is that small phones will be extinct by the second quarter of 2016. It’s clear consumers want their content, and they want it on a bigger screen. In 2015, Flurry tracked a mind boggling 3.2 trillion sessions. When we started 8 years ago, we never thought that our counters could reach these numbers. But, we have been fortunate enough to have a front row seat watching the mobile revolution unfold and absorb (and in some case demolish) industry after industry. On January 1st 2016, 12:01 am, our counters reset to zero and the guessing game started again. Which industry will mobile and its apps absorb in 2016? We will have the answer a year from now, but for now: Here’s to Emojis! 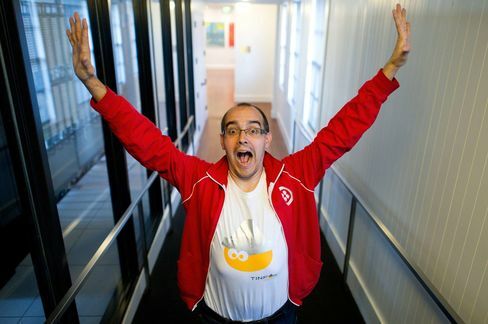 Dave McClure wants to dispel some stereotypes about his venture capital firm's latest stomping ground: "The popular image of what's going on in the Middle East is either Isis or sheikhs with a bunch of oil, but the reality is there are millions of people who aren't rich or poor," said McClure, the Silicon Valley-based founding partner of 500 Startups. The venture firm, which invests small amounts of money in hundreds of young technology companies around the world, said on Thursday that it's establishing a $30 million fund in the Middle East and North Africa. 500 Startups plans to make initial investments of about $75,000 each in nascent companies in a region that McClure said is poorly understood by other tech investors. McClure said the area's large concentration of people under the age of 26, their high smartphone adoption rates, and the low penetration of Western tech companies makes the market attractive. "I've been there five times a year for the past three years," he said. "These are vibrant and growing economies, and as much as there are challenges there, there are opportunities." The new fund joins a string of similar geographic-focused microfunds started by the firm during the past few years. 500 Startups said it doubled the size of its Southeast Asia fund in October and is also seeking to invest in Nigerian startups. Additionally, the firm has standalone funds for startups in Mexico and Latin America, South Korea, Thailand, Japan, Turkey, and Nordic countries. Its main global fund, which closed in September, manages $85 million. Although there are other tech investors in the Middle East, including accelerators Oasis500 in Jordan and Flat6Labs in Egypt, the numbers are small. Venture investors put $205 million into 33 area startups last year, according to a 2014 report by trade group MENA Private Equity Association. It's the highest amount for the region since 2008 but still a paltry sum compared with other places, such as Israel or the Nordics, let alone Silicon Valley. Hasan Haider, a former investment banker, serves as venture partner for the new 500 Startups fund in the Middle East and North Africa. He said the fund, which has so far gotten investor commitments for half of the $30 million goal, will back as many as 300 companies. Haider's ideal investment is a mobile and social media startup, with simple business models that aren't costly to build. He also sees opportunities in e-commerce. "Amazon and EBay don't operate here," he said. One such company is ShopGo, which Syrian entrepreneur Moe Ghashim created to help retailers develop an online presence. Building his business in Syria had different challenges from starting up in, say, a garage in Palo Alto, Calif. "The government started to cut electricity and Internet very randomly, which made it very difficult to work," Ghashim said. Ghashim moved from Aleppo, Syria, to Jordan in late 2011. Since joining the Oasis500 accelerator there and raising $3.2 million from investors, including 500 Startups, ShopGo said it has grown to a total of 32 employees and more than 300 customers. While the company now has reliable electricity, Ghashim said he faces a challenge familiar to many upstarts in a country not commonly known as a tech hub: "The next step is figuring out how to capture a bigger market." Class of ’87 grad, Joshua Wachs is among the panelists. Wachsfounded his own successful business, providing web strategy and development. Emerson’s alumni network, Wachs points out, dominate the fields of media, PR, marketing and film, creating a complementary internal and external network that’s so tight, it’s jokingly referred to as the Emerson Mafia. I know, because I’m one of them. Using Eventbrite’s geolocation stats, I am proud to announce that attendees will be flying in to Beirut from 50 countries across 6 continents. The majority are from Europe, USA, Southeast Asia, Caucasus, and MENA, with a handful from China, South Asia, Australia, Latin America, and Sub-Saharan Africa. The breakdown of registrants provides for a diverse set of profiles distributed organically for an ideal mix of entrepreneurs, investors, advisors, mentors, academics, public servants and professionals. For every 10 entrepreneurs attending, there will be approximately 2 investors, 3 advisors & mentors, 1 academic, 1 public servant, and 15 professionals. Our Startup Competitions & Exhibition attracted hundreds of applications from dozens of countries. 30 top-tier startups from around the world have been selected for our Early Stage Startup Competition; they will be listed on the website shortly. The winner takes home an impressive 10,000 US$ in cash, but more importantly, will peak the interest of the 200+ investors with over 500 million US$ to invest. Investors are not limited to locals, with some flying over 10,000 kilometers to participate in Banque du Liban Accelerate 2015. Separately, our Wearables Hackathon and Web & Mobile Hackathon are now accepting applications. Each is awarding 6,000 US$ of cash prizes, which should make for worthy challenges to test the best. Click her to apply for the Wearables and here to apply for the Web & Mobile. • Berytech is sponsoring the 750sqm Dealmakers Lounge, featuring Dunkin’ Donuts serving coffee and Socrate Catering serving breakfast and amuse-bouche. • Chivas’ The Venture is sponsoring the Early Stage Startup Competition, ensuring that participating startups will have international recognition and reach. • DNY Group is sponsoring the Wearables Hackathon, providing components (electronics), a whole bunch of sensors, a wearable sleeve, 3D printing capabilities, and more, alongside onsite training and guidance so that participants can dream up and hack together wearables to enhance lifestyle or sports. • MIT Enterprise Forum Pan Arab and WDS have recruited 5 hackathon gurus from Paris to run the Web & Mobile Hackathon; we are flying them in to ensure a world class activity within the Conference. • Roadster Diner, Al Balad, Zaatar W Zeit, Frank Wurst, and KB Doner are sponsoring the International Food Hall, featuring Lebanese, American, German, and Turkish foods served daily at lunchtime. • LEAP Ventures is sponsoring the Investing Space for workshops about fundraising, pitching, term sheets, and more. • The historical Phoenicia Hotel, one of the leading InterContinental hotels around the world, will be hosting all our international speakers, and is offering all Banque du Liban Accelerate 2015 special rates. Click here to reserve now. Separately, within walking distance of Phoenicia, Radisson Blu Martinez is offering reduced rates with this Promo Code: LBACCE. • Backing all of this up are MEVP and Sodetel as Gold Sponsors; Kafalat and Firehorse as Silver Sponsors; andMIT Technology Review Pan Arab as Media Sponsor. Finally, and in light of the recent unfortunate events around the world, I would like to reassure you that Beirut is very safe, and considered by many as on par with New York, London, and Paris in terms of personal safety and risk profile in the business and downtown districts. Furthermore, security at Banque du Liban Accelerate 2015 will be tight, with free valet parking responsible for all cars, metal detectors at all entrances, security personnel inside the venue, and police outside. LFE and IDAL are pleased to announce the publishing of their report on ICT subsectors in Lebanon following two years of research, in collaboration with MEVP and senior staff from the Ministry of Telecom and the Office of the Presidency of the Council of Ministers. The study – a first of its kind in Lebanon – involves a competitive analysis of 18 ICT subsectors, and identifies those that Lebanon could have a higher potential to thrive in. The report's recommendations could serve as a basis for the direction of resources and incentives to the subsectors that have displayed the strongest competitive advantages. While several prior reports have addressed the competitiveness of various Lebanese industry sectors relative to each other, the present study is the first to analyze the Lebanese ICT sector with a high degree of granularity. The study covers the following ICT subsectors: ad tech, consumer Internet, e-commerce, e-government, e-learning, financial and e-payment solutions, enterprise software, gaming, healthcare, biotech, infrastructure, media streaming, semiconductors, small hardware products, telecom services, telemarketing and call centers, and value-added services. Section 1 is an overview of the global and regional market trends in ICT. Section 2 outlines the factors that enable the success of the various subsectors. Factors considered are education and skills, infrastructure, legal framework, capital, and synergies with other markets and industries. Section 3 presents Lebanon's current capabilities along several key dimensions, including the enabling factors listed in Section 2. Section 4 culminates with recommendations regarding the strategic ICT subsectors that could provide Lebanon with a competitive advantage. The report is available for download from LFE’s website here. I wanted to share some news and thank you all for being role models, supporters, champions, mentors and friends for me over the years. I am grateful. Last week, I was awarded the Smithsonian magazine's American Ingenuity Award for Technology for our work on emotion sensing tech and digital empathy (which we really really need more of in our world!). Every year, the awards honor 12 people across nine categories, including technology, performing arts, visual arts, natural sciences, physical sciences, education, history, social progress and youth achievement. The selection process is quite intense and super selective. The awards ceremony was last Thursday at the National Portrait Gallery, DC. It was like the Oscars for Geeks ;) The venue is the first home to all of the US patents and also where Lincoln had his 2nd inauguration speech. The event included an INSPIRING roster of people, including Megan Smith, CTO of the US Gov, Bill Nye and Adam Steltzner, who led NASA's Curiosity mission to MARS as well as Bill Haidar of SNL and others. My mom was able to attend all the way from Abu Dhabi, as well as my kids Jana and Adam - who had a blast taking selfies with all the celebrities! For my acceptance speech, I was asked to talk about being an Arab, Muslim woman immigrant and my experience going from academia to business in the US. I hope this is a bright example of what we as Arabs and/or Muslims stand for - and combats the unfortunate image that extremists portray of our region of the world. 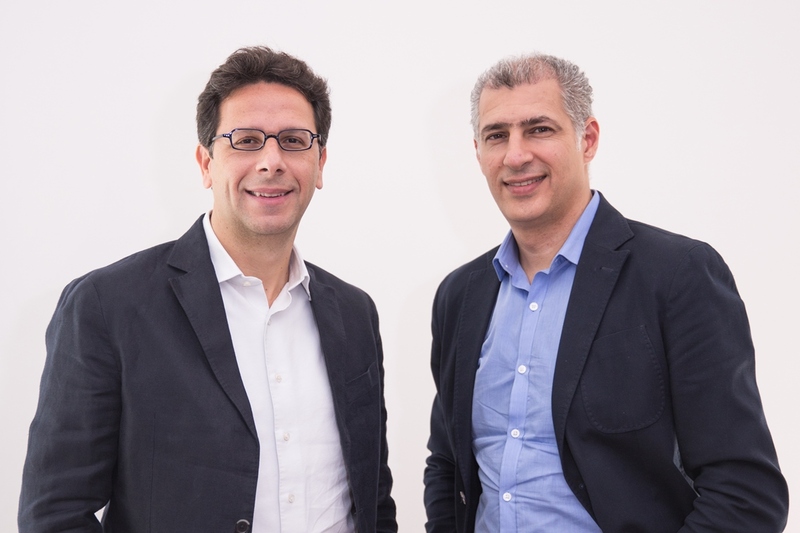 November 4, 2015 – Middle East Venture Partners (MEVP) announced today the second close of Middle East Venture Fund II (MEVF II) at more than US$30 Million. MEVF II is a venture capital fund that invests in the region’s early stage technology and mobile businesses. The Fund is MEVP’s fourth venture capital (VC) fund, increasing the firm’s total Assets Under Management (AUM) to US$120 Million, and establishing the firm as one of the largest institutional VC investors in the Middle East North Africa (MENA) region. MEVP has successfully achieved its US$30 Million fundraising target for MEVFII. The Fund is currently oversubscribed but MEVFII might accept further subscriptions in the upcoming two weeks. The Fund, already operational with nine ventures executed across the region, will pursue its investment strategy in the GCC and wider MENA region, with a particular focus on technology ventures in the UAE. Middle East Venture Fund II (MEVF II) is leveraging MEVP’s extensive regional network to generate a flow of high quality deals and accelerate the value creation of the portfolio companies by assisting them in hiring the right talent and acquiring the needed resources to reach their full potential. Since inception, Middle East Venture Partners (MEVP) has invested in 28 companies – most of which are MENA market leaders, and has created more than 900 jobs in the region. MEVP completed its first exit in December 2014 when its portfolio company Shahiya.com, the region’s leading user-generated Arab food recipes website/app, was acquired by the billion-dollar publicly-traded Japanese firm Cookpad in a transaction that yielded a 130% IRR. MEVP is a regionally focused venture capital firm that invests in the early and growth stages of innovative companies run by talented entrepreneurs primarily in the GCC and MENA Region. With offices in Beirut, Dubai and Silicon Valley, and with Assets Under Management of US$120 Million in 4 funds, 28 portfolio companies, and a staff of 16 professionals, MEVP is the pioneer, most established and one of the largest and most active venture capital firm in the MENA region. Copyright © 2015 Middle East Venture Partners (MEVP), All rights reserved. You are receiving this email because you are part of MEVP's mailing list.